Publisher HarperCollins and the BBC have begun a court battle over a book that reveals the identity of Top Gear's The Stig. Both sides appeared in London's High Court on Monday after the BBC confirmed it was trying to halt its publication. The Stig never removes his helmet on the BBC Two show and the BBC says the book's publication breaches contractual and confidentiality obligations. HarperCollins said it would "vigorously defend" its right to publish the book. The dispute comes amid suggestions from several newspapers speculating that the character's true identity is former Formula Three driver Ben Collins, based on the financial reports of his company. HarperCollins confirmed that it is being sued by the corporation over the impending publication of the book. In a statement, it said: "We are disappointed that the BBC has chosen to spend licence fee payers' money to suppress this book and will vigorously defend the perfectly legitimate right of this individual to tell his story." The BBC confirmed it is in a legal dispute over the publication of a book relating to Top Gear as this "breaches agreed contractual and confidentiality obligations relating to the show". It added that it was "no surprise" that Ben Collins' company listed Top Gear amongst its work as the driver had "appeared numerous times on the programme and he often supplied other drivers for both the programme and Top Gear Live". A BBC spokesman said: "This situation has come about as a result of an attempt by an external party to profit from unauthorised use of the Top Gear brand, one of the BBC's biggest and most watched shows in the UK and around the world. "As a result, it is important that the BBC does all it can to uphold confidentiality clauses that have been agreed to in relation to the show." The BBC has never confirmed who The Stig is and maintains revealing his identity would spoil viewers' enjoyment of the show. The Stig's identity has puzzled fans for years with many speculating the role is shared by several drivers. Former Formula 1 driver Perry McCarthy was the original Stig, wearing black overalls for his appearances. He left the show in 2003 and then a "new" Stig dressed in white took over. McCarthy later disclosed his identity in an autobiography. 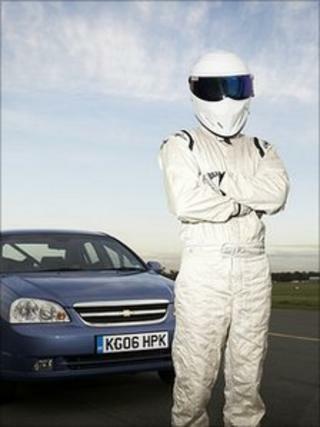 Top Gear Stig's identity revealed?